Let thy continual mercy, O Lord, kindle in thy Church the never-failing gift of love, that we, following the examples of thy servants William Wilberforce and Anthony Ashley-Cooper, may have grace to defend the poor and maintain the cause of those who have no helper; for the sake of him who didst give his life for us, thy Son our Savior Jesus Christ, who liveth and reigneth with thee and the Holy Spirit, one God, now and for ever. Amen. Let your continual mercy, O Lord, kindle in your Church the never-failing gift of love, that we, following the examples of your servants William Wilberforce and Anthony Ashley-Cooper, may have grace to defend the poor and maintain the cause of those who have no helper; for the sake of him who gave his life for us, your Son our Savior Jesus Christ, who lives and reigns with you and the Holy Spirit, one God, now and for ever. Amen. Anthony Ashley Cooper provisionally added, and lessons and collects provisionally revised at General Convention 2009. William Wilberforce was born in 1759 and served in Parliament from 1780 to 1825. A turning point in his religious life was a tour of Europe. In the luggage of a travelling companion he saw a copy of William Law's book, A Serious Call to a Devout and Holy Life. He asked his friend, "What is this?" and received the answer, "One of the best books ever written." The two of them agreed to read it together on the journey, and Wilberforce embarked on a lifelong program of setting aside Sundays and an interval each morning on arising for prayer and religious reading. He considered his options, including the clergy, and was persuaded by Christian friends that his calling was to serve God through politics. He was a major supporter of programs for popular education, overseas missions, parliamentary reform, and religious liberty. He is best known, however, for his untiring commitment to the abolition of slavery and the slave trade. He introduced his first anti-slavery motion in the House of Commons in 1788, in a three-and-a-half hour oration that concluded: "Sir, when we think of eternity and the future consequence of all human conduct, what is there in this life that shall make any man contradict the dictates of his conscience, the principles of justice and the law of God!" The motion was defeated. Wilberforce brought it up again every year for eighteen years, until the slave trade was finally abolished on 25 March 1806. He continued the campaign against slavery itself, and the bill for the abolition of all slavery in British territories passed its crucial vote just four days before his death on 29 July 1833. A year later, on 31 July 1834, 800,000 slaves, chiefly in the British West Indies, were set free. A movie of the life of William Wilberforce, Amazing Grace, was released in early 2007. It is now out as a DVD. There are a number of biographies, of which I can recommend a recent one by Stephen Tompkins. 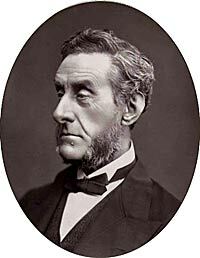 Anthony Ashley Cooper, 7th Earl of Shaftesbury, (28 April 1801 – 1 October 1885), was an English politician and philanthropist, one of the best-known of the Victorian era, and one of the main proponents of Christian Zionism. Born in London, he was educated at Harrow School and Christ Church, Oxford. He became a Tory MP in 1826, and almost immediately became a leader of the movement for factory reform. He was largely responsible for the Factory Acts of 1847 and 1853, as well as the Coal Mines Act of 1842 and the Lunacy Act 1845. One of his chief interests was the welfare of children, and he was chairman of the Ragged Schools Union and a keen supporter of Florence Nightingale. Shaftesbury was a proponent of the Restoration of the Jews to the Holy Land. Muhammad Ali’s conquest of Greater Syria (1831) changed the conditions under which European power politics operated in the Near East. As a consequence of that shift, Shaftesbury was able to help persuade Foreign Minister Palmerston to send a British consul to Jerusalem in 1838. A committed Christian and a loyal Englishman, Shaftesbury argued for a Jewish return because of what he saw as the political and economic advantages to England and because he believed that it was God's will. In 1839 Shaftesbury published an article under the title «The State and the rebirth of the Jews». In it he urged the Jews to return to Palestine in order, according to him, to seize the lands of Galilee and Judea. Shaftesbury first put forward the slogan «Earth without people - people without land» and agitated in this direction. His call drew a positive response from various politicians, journalists and Christian religious leaders, both in Britain and America. The lead-up to the Crimean War (1854), like the military expansionism of Muhammad Ali two decades earlier, signaled an opening for realignments in the Near East. In July 1853, Shaftesbury wrote to Prime Minister Aberdeen that Greater Syria was “a country without a nation” in need of “a nation without a country... Is there such a thing? To be sure there is, the ancient and rightful lords of the soil, the Jews!" In his diary that year he wrote “these vast and fertile regions will soon be without a ruler, without a known and acknowledged power to claim dominion. The territory must be assigned to some one or other... There is a country without a nation; and God now in his wisdom and mercy, directs us to a nation without a country. "This is commonly cited as an early use of the phrase, "A land without a people for a people without a land".